How are Stem Cells benefiting patients? Stem cells have been found to be used in the treatment of multiple conditions. They can be used to replace neurons damaged by spinal cord injury, stroke, Alzheimer's, Parkinson's and other neurological problems. Stem cells are used to produce insulin for patients with diabetes and heart muscle cells that could repair damage after a heart attack and help treat MS patients. A study presented at the International Stroke Conference, sponsored by the American Heart Association, benefits are seen early after stem cell placement near the damaged brain sites of chronic stroke patients continued during 2 years follow up as reported by Gary k. Steinberg, MD. "The findings “change our notion of what happens after a stroke. The damaged circuits can be resurrected,” said Dr. Steinberg, professor and chair of neurosurgery at Stanford (Calif.) University." There is no question that stem cell therapy works for many people with different conditions. It's a shame that we have a hard time getting legitimate stem cell therapy here at therapeutic levels to reverse chronic conditions. Until NOW. Look for the new stem cell video of Dr. E injecting stem cells into Dr. G for the treatment of psoriatic arthritis. 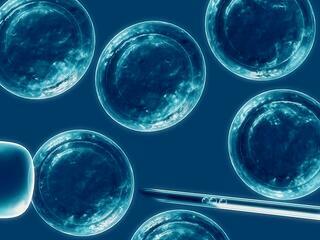 Stem cell treatment is typically out of reach financially or not being practiced. Look no more Second Nature Care provides safe, effective and affordable treatments. You don't have to leave the country to get high quality stem cell treatment. or call us at (845)358-8385. Stem Cell treatment is no longer a thing of the future and can be used to treat a number of chronic conditions.